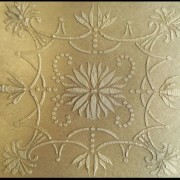 Raised plaster tile stencils are so cool. 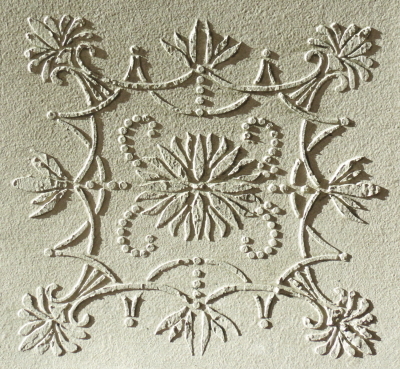 They can be used in a repeated fashion to completely cover a wall like embossed wallpaper, used to give your cabinets a new “hand carved” appearing design or used to create the look of embossed ceiling tiles. 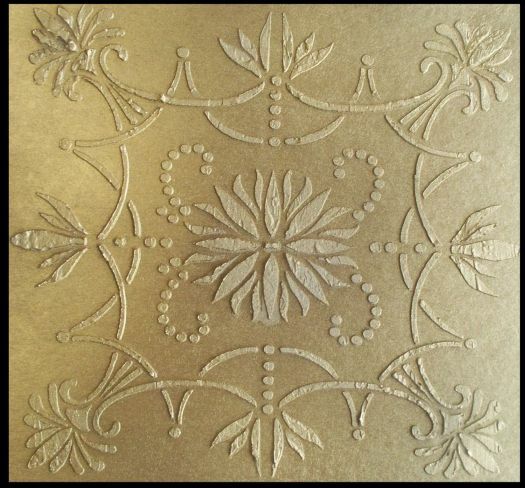 Add exciting dimensional design to just about anything with our easy to use Raised Plaster Stencils. Plaster stenciling is EASY! Simply smooth pre-mixed joint compound over the stencil openings, to create the raised design, remove the stencil and allow the design to dry. Paint after it’s dry or add paint colors right to the compound to save a step. Can be used with just paint if you prefer a painting stencil instead.